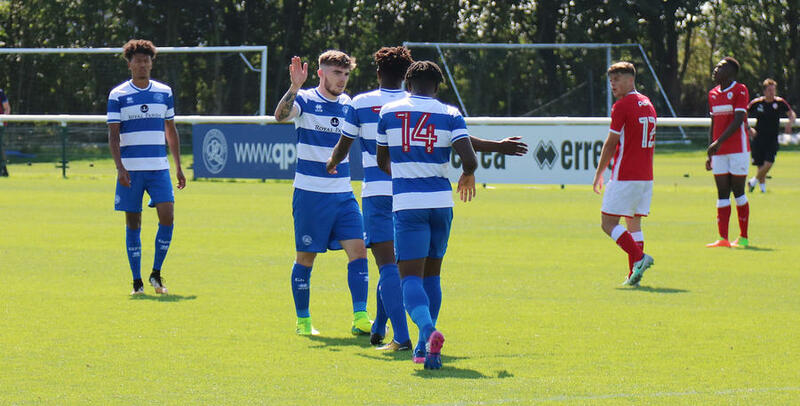 RYAN Manning’s 87th minute goal sealed a third win in a row for QPR Under-23s at Harlington on Friday afternoon. The Irishman slammed home a long range strike three minutes from time as the R’s recorded a 3-2 victory against Barnsley. That was only after Paul Hall’s side had squandered a 2-0 lead following goals at the start of both halves from Daniel Rowe and Dan Darbyshire. However, two second half finishes from Tykes forward Victor Adeboyejo restored parity eight minutes from time, before Manning’s stunner ensured QPR recorded a third win of the new season. It took QPR only seven minutes to go in front after good work by Manning down the left allowed the midfielder to pick out Rowe six-yards from goal and the former Leicester attacker cooly side footed past keeper Jack Walton. At the other end R’s stopper Joe Lumley kept QPR ahead, when he spread himself well in front of on rushing forward Romal Palmer to snuff out his chance, before following it up seconds later with another impressive save. Lumley was then on hand once more to fist away Josh Kay’s free-kick, before R’s centre-back Giles Phillips headed Sean Goss’ corner wide of the far post in the 24th minute. Paul Hall’s side were denied a second goal by the post nine minutes before half-time. Niko Hamalainen burst into the area from the left but the full-backs placed finish cannoned back off the upright from 14-yards. Just like Rangers youngsters started the first half, they were quick out of the blocks in the second period and deservedly doubled their lead after three minutes. A superb solo run from Goss saw the former Manchester United youngster chip the ball over the keeper, only for it to agonisingly hit the bar, fortunately Darbyshire was on hand to make it 2-0 with a header on the rebound. Rowe was then denied a second after Hamalainen slipped him through on goal before Reece Grego-Cox's shot from the edge of the area was easily dealt with by the Barnsley keeper. Quick thinking from Manning nearly saw QPR further extend their lead when the midfielder was fouled he was quickly to his feet to take a free-kick, but Derbyshire saw his effort blocked by custodian Walton in the 57th minute. Despite that pressure it was the visitors who scored next after 62 minutes when a neat finish from Victor Adeboyejo beat Lumley in the top corner from the edge of the R's box. Hamalainen and Rowe were then denied, before Grego-Cox should have put the match out of sight in the 76th minute. A mistake by Barnsley full-back Louis Wardle allowed the striker clean through on goal but the Republic of Ireland Under-21 international shot the wrong side of the post when one-on-one. It could have proven costly, as Adeboyejo levelled for Barnsley soon after. A defensive slip from QPR allowed him to score his second of the afternoon to make it 2-2. 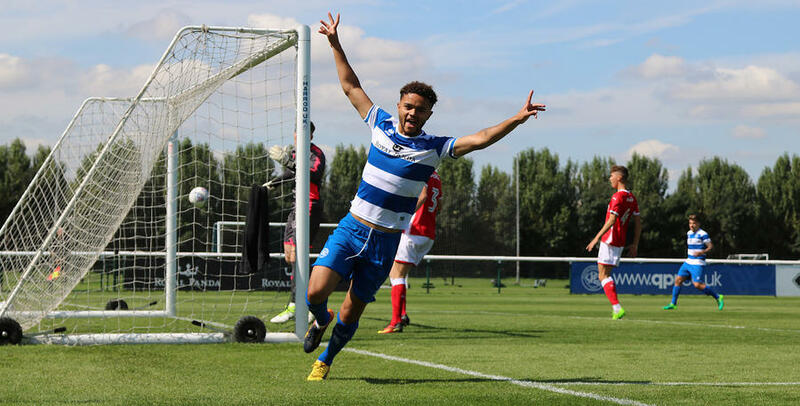 Despite the set-back QPR continued to push for a winner and when Manning collected the ball 20-yards from goal he finished with aplomb, curling into the top corner to take the Under-23s start to the season to three wins out of three. Paul Hall’s team are next in action on Friday, 1st September when they face Birmingham City at St. Andrews - kick-off 1pm. 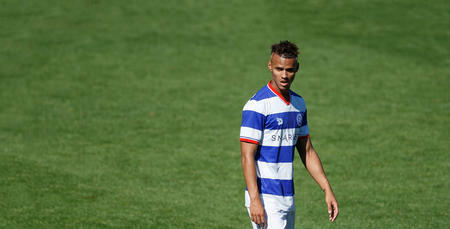 QPR Under-23s: Lumley, Kakay, Hamalainen, Goss, Paul, Phillips (Fox 62), Petrasso (Oteh 81), Manning, Darbyshire (Eze 72), Grego-Cox, Rowe. Goals: Rowe 7, Darbyshire 47, Manning 87. Yellow Cards: Goss 52 (foul), Fox 79 (foul). We bring you highlights from the Under-23s' win over Barnsley, which saw Ryan Manning net a late cracker!